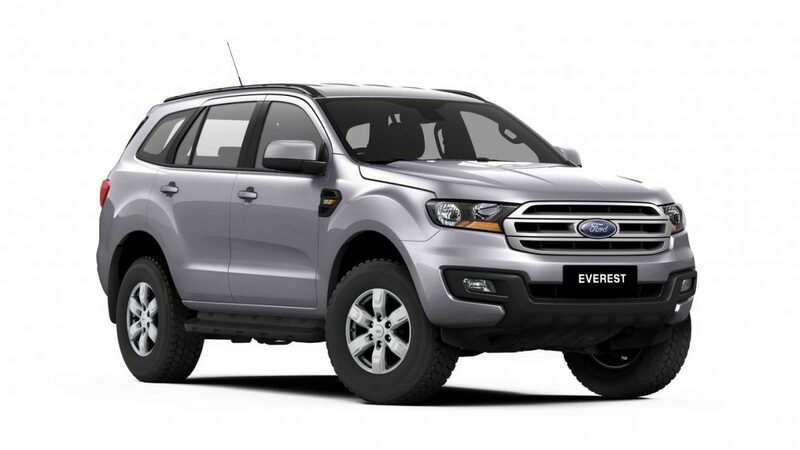 The revised 2017 Ford Everest range offers even greater choice with the exciting addition of the five-seat Everest Ambiente RWD to give Australians a broader suite of models to suit their lifestyles. The expansion of the Everest line-up allows a lower starting MLP of $47,9903as customer demand for SUVs continues to grow. The 2017 Everest Ambiente RWD five-seater starts at an MLP of $47,9904 with the option of a third row seat for only $1,000. The exterior of the entry-level RWD model matches the rugged looks of the Ambiente 4WD, with all Everest Ambientes coming standard with stylish running boards for 2017, reflecting an image of capability. With a five-star ANCAP safety rating, the Everest Ambiente RWD comes equipped with Dynamic Stability Control5as well as Traction Control and Rollover Mitigation. This is in addition to the full complement of airbags, which see driver, front passenger airbags as well as side-front airbags, driver’s knee airbag and full-length curtain airbags. With Everest Ambiente’s Active Noise Cancellation system and upgraded 10-speaker audio, family sing-alongs are all the more enjoyable, ensuring even second-row passengers are on-song with music via SYNC® 36 using Apple CarPlay or Android Auto7. With its 8.0-inch full colour touchscreen, SYNC® 3 also provides a full-colour reversing camera to make parking easier by providing crisp vision rearwards. Follow-me Home lighting helps ensure a safe passage at night time when exiting the Everest Ambiente. In addition, the Everest Ambiente RWD offers the same 3,000kg braked towing capability8 as the Everest 4WD to enable consumers the full benefits of Everest’s strong torque. Proving it’s tow-ready, Ambiente comes with Trailer Pre-wiring as standard, eliminating the cost and inconvenience of fitting an aftermarket system post-sale, and is covered by Ford’s New Car Warranty. Trailer Sway Control9 is also standard, helping reduce hazards and alleviate driver stress for safer towing. The 2017 Everest Trend comes standard with seven-seats, 18-inch alloy wheels and higher equipment levels. Sat-nav with Traffic Management Channel10 previously an option, is now standard as part of the Trend’s SYNC® 3 infotainment system, with the same 8.0-inch touchscreen also providing a crisp, full-colour reversing camera as the Ambiente. This joins Driver Assist Technology that includes Adaptive Cruise Control (ACC) with Forward Collision Alert (FCA) 11. This system reduces the driver’s workload in traffic and changeable conditions by helping to maintain a safe distance to the vehicle in front, thereby helping to keep a greater safety cushion in the event of an emergency. This may help prevent an accident, reduce the severity in the event of a collision or reduce injury and costs, as well as keep the Everest on the road instead of being repaired. Trend also features Lane Keeping System as standard to help ensure the vehicle remains in the centre of the lane. If the vehicle starts to drift from the centre, the system can help guide the vehicle back through gentle steering torque. If further drifting is sensed, the system is designed to emit a warning vibration through the steering wheel to alert the driver12. A high level of Driver Assist Technology is standard on the Titanium. In addition to Adaptive Cruise Control (ACC) and Lane Keeping System, Titanium includes Active Park Assist, which helps take the stress out of parking by using the Everest’s sensors and camera systems to assist with parallel parking13. Blind-Spot Information with Cross-Traffic Alert14 is designed to warn the driver of vehicles that may be in the driver’s blind-spot, alerting the driver in order to avoid potential collisions. A Tyre Pressure Monitoring System is also designed to alert the driver of a puncture, which may help avoid tyre failure and premature tyre wear and further vehicle damage.